The Yale formed a broad lowland vale running through the central regions of the Shire's Eastfarthing. To the north, it was bounded by the course of the Water and the line of the East Road, and to the south by the forested uplands of Woody End. The Stock Road ran along the Yale's southern edge for much of its length, before curving down into the valley itself and onward to Stock in the Marish, on the Yale's eastern borders. Along the northern edge of the Yale, on the East Road through the Shire, were two townships: Frogmorton and Whitfurrows. Otherwise this region was apparently sparsely populated, and indeed our only detailed map shows just a single building.2 The Yale was strongly associated with the Boffin family, though it is far from clear where their family seat lay. The Boffins may have been concentrated in the towns of Frogmorton or Whitfurrows along the Yale's northern edge, or they may have held an ancestral smial, unmarked on any map,3 within the valley of the Yale itself. As a real name, 'Yale' comes from the old Welsh word iâl, referring to fertile uplands or hill country. It's not completely clear, however, whether Tolkien meant this same derivation to hold. One problematic reference is a mention of the 'lowlands of the Yale' in The Fellowship of the Ring I 3, Three is Company, which seems to contradict a derivation from 'uplands'. What's more, Tolkien originally considered calling this region 'Northope' ('small northern valley') which again makes a connection to hill country questionable at least. Though a derivation from Welsh is unusual for a place-name within the Shire, it might conceivably hint at a connection with the Brandybuck family. Tolkien consistently translates personal names within that family using old Welsh elements, and we know that they originated in the Marish on the borders of the Yale, so perhaps this implies some kind of ancient historical connection. Alternatively, Tolkien might have had some entirely different derivation in mind, though if so he left no clues to what that derivation might be. There are few realistic candidates, but one possibility might be Old English ealh a place of shelter (though this normally referred to a building, rather than an area of land). Even this single building is apparently shown in error. 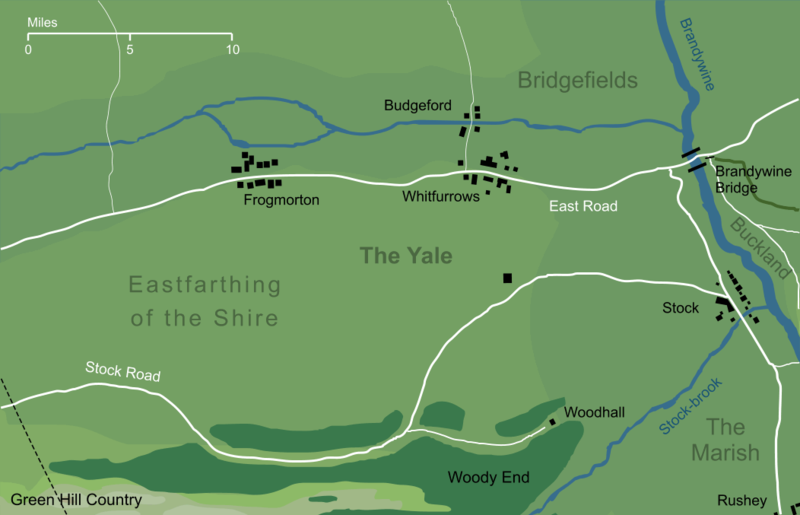 'The Yale' was added to the Shire map by Tolkien to indicate a region of the Eastfarthing, but confusion arose at some point during the production process. The published map shows 'The Yale' in small text next to an isolated block, apparently marking a building or small village, whereas in fact it was intended to describe a wide area of land southward of the East Road. The Boffins' seat in the Yale is not the only significant family home to be omitted from the Shire map: Great Smials, the family home of the Tooks, is also omitted. In the Boffins' case, at least, this seems to be due to variations in the history of the text. Originally, Tolkien had planned to associate the Boffins with a village north of Hobbiton known at first as 'Northope', but later established as 'Overhill'. There is indeed a mention in The Lord of the Rings of a 'Mr. Boffin at Overhill' (The Fellowship of the Ring I 2, The Shadow of the Past) which emerges from this conception. Later, the name 'Northope' was moved to the region that would become the Yale, but the Boffin family maintained its association with the name. Thus when this second 'Northope' became 'the Yale', the family associated with the region became the Boffins of the Yale. These developments, however, post-dated the production of the Shire map (and indeed even the Yale itself was a later insertion) so the Boffins make no geographical mark in that source.  Original content © copyright Mark Fisher 2004, 2018. All rights reserved. For conditions of reuse, see the Site FAQ. There are four key ingredients in a DISC profile: Dominance, Influence, Steadiness and Compliance.